OrthoSpace Ltd. (“OrthoSpace” or “the Company”) today announced the publication of positive data on the use of the InSpace™ subacromial spacer for the treatment of massive rotator cuff tears. 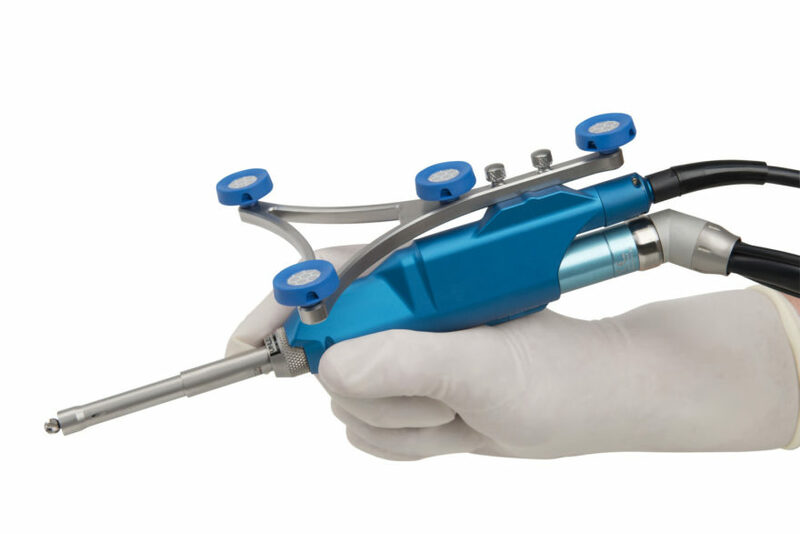 The case series of 39 shoulders (37 patients) was published in Arthroscopy and demonstrated improved function and reduced pain in patients treated with the InSpace System. The InSpace System consists of a biodegradable balloon spacer deployed in the subacromial space between the acromion and the humeral head, allowing smooth gliding and frictionless movement between the two bones and emulating the function of the original bursa. It is usually placed arthroscopically in a procedure that requires only 10 minutes to perform. 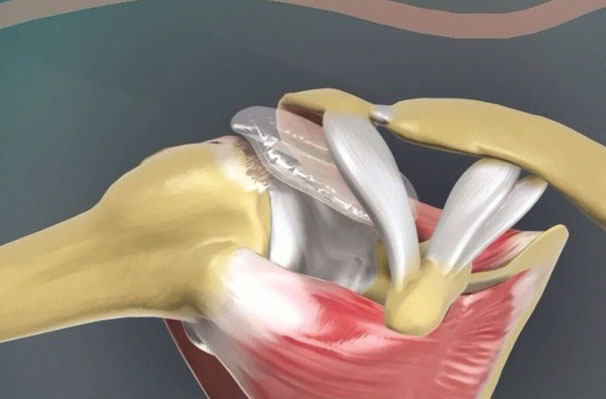 This study assessed clinical, functional and radiographic outcomes for all patients with symptomatic massive irreparable rotator cuff tears who were treated with the InSpace at the Clinique Drouot between January 2011 and December 2014. Patients included in this study had a minimum of one year and up to three years of follow-up at the time of analysis. Range of motion was significantly increased for all patients in anterior elevation, abduction and external rotation. The mean Constant score, which measures pain, activity level and function, improved from 40 (±14.6) (45 [±15.2] when adjusted for age and gender) at baseline to 59 (±13.7) at one year, and up to 64 (±13.6) (adjusted = 76 [±17.1]) (P < 0.0001) at last follow-up. Notably, there was a significant improvement between the one-year follow-up and three-year follow-up regarding the adjusted Constant score (P=0.02). At last follow-up, adjusted Constant score was excellent (greater than 100 points) for three shoulders (9%), good (86-99 points) for eight (23%), fair (65-85 points) for sixteen (45%), and poor (fewer than 65 points) for eight shoulders (23%). Among the radiographic outcomes, when assessing for Hamada score (a measure of osteoarthritis), four shoulders progressed by one radiographic stage (15%), and two shoulders progressed by three stages (4%). 32 shoulders had no progression during follow-up. 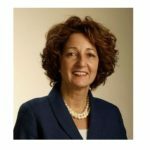 The InSpace System is CE Marked in Europe and Israel and is investigational in the U.S. and Canada, where it is currently being evaluated in a prospective, single-blinded, multi-center, randomized, controlled study that will enroll up to 184 patients. OrthoSpace is a privately held medical device company located in Caesarea, Israel. The Company’s product, InSpace, is an orthopedic biodegradable balloon system that is simple, safe and a minimally invasive method that addresses unmet clinical needs in rotator cuff repair. InSpace is CE Marked and commercialized in Europe and Israel and has been granted an Investigational Device Exemption (IDE) to initiate a pivotal human clinical study of the InSpace System in the United States. The UK’s Medicines and Healthcare products Regulatory Agency (MHRA) on Thursday issued an alert to healthcare professionals with updated recommendations for long-term follow-up for patients with metal-on-metal hip replacements. 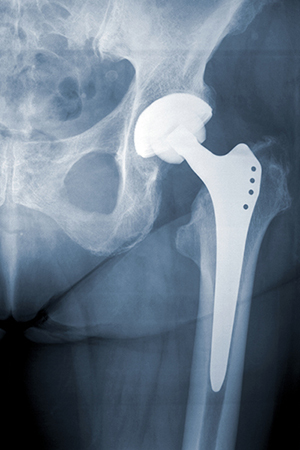 Safety and durability concerns about metal-on-metal hip replacements, along with a scandal involving faulty breast implants, were a driving factor in the EU’s decision to overhaul its medical device and in vitro diagnostics regulations. Previously, MHRA’s recommendations focused on larger metal-on-metal hip replacements (≥36mm) and certain implants made by Johnson & Johnson subsidiary DePuy Synthes, which were thought to be riskier than other types of metal-on-metal hips. In August 2010, DePuy recalled two models of its ASR hip replacement systems, and in 2013 the UK’s National Health Service (NHS) stopped performing most metal-on-metal hip replacements, citing high failure rates. However, tens of thousands of patients in the UK still have the devices implanted. WARSAW, Ind., June 30, 2017 /PRNewswire/ — Zimmer Biomet Holdings, Inc. (NYSE and SIX: ZBH) today announced its second quarter sales and earnings conference call will be broadcast live over the Internet on Thursday, July 27, 2017, at 8 a.m. Eastern Time. 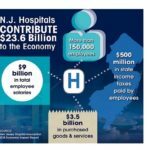 A news release detailing the quarterly results will be made available at 7:30 a.m. Eastern Time the morning of the conference call. The live audio webcast can be accessed via Zimmer Biomet’s Investor Relations website at http://investor.zimmerbiomet.com. It will be archived for replay following the conference call. Individuals in the U.S. and Canada who wish to dial into the conference call may do so by dialing (888) 312-9837 and entering conference ID 7278985. For a complete listing of international toll-free and local numbers, please visit http://investor.zimmerbiomet.com. A digital recording will be available 24 hours after the completion of the conference call, from July 28, 2017 to August 26, 2017. To access the recording, U.S. callers should dial (888) 203-1112 and international callers should dial +1 (719) 457-0820, and enter the Access Code ID 7278985. 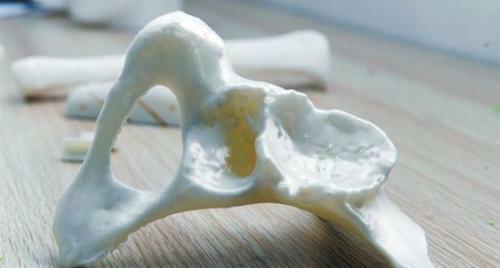 BoneSupport said last week it closed its initial public offering, raising a total of approximately $57.1 million (SEK 500 million), not including an over-allotment option. The Swedish company, which is developing the Cerament G injectable antibiotic-eluting bone graft substitute, said it floated approximately 17.2 million new shares at $3.40 per share (SEK 29) in the round, raising approximately $57.1 million before issue costs and $54 million (SEK 461 million) after issue costs. 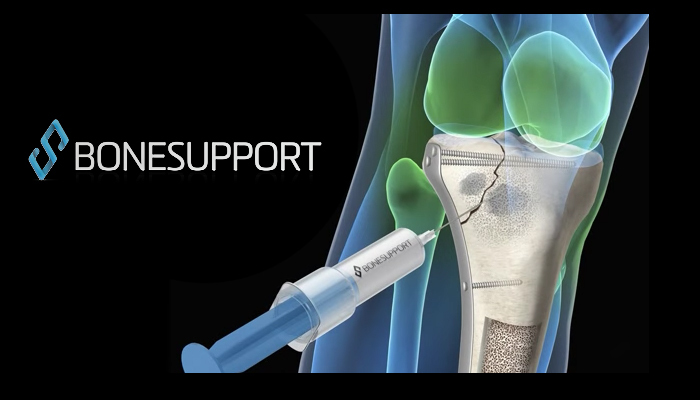 Bonesupport also issued an over-allotment option for 2.6 million shares and an additional $8.7 million (SEK 75 million), bringing the total number of shares offered in the round to 48.8 million, according to a press release. 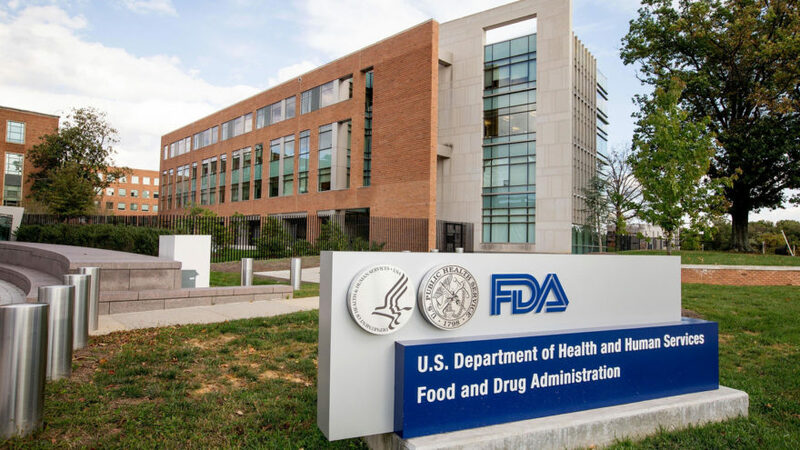 ATLANTA, June 29, 2017 /PRNewswire/ — Meditech Spine, LLC, announced today it has received 510(k) clearance for its CURE Lumbar Plating (LP) System from the US Food and Drug Administration (FDA). The CURE LP allows surgeons to utilize the lumbar plating system along with Meditech’s innovative lumbar Talos® fusion devices, which are manufactured with PEEK-OPTIMA™ HA Enhanced polymer offered by Invibio Biomaterial Solutions. These devices are essential in the market, as an estimated 25 percent of thoraco-lumbar interbody fusions are performed via the anterior and lateral approaches. A low profile titanium plate that incorporates a proprietary, one-step locking mechanism to prevent bone screws anchored on the spine from loosening and backing out. Designed with a large graft window for viewing the interbody space. Pre-lordosed for lumbar sacral applications. Available for both anterior and lateral procedures as four-hole or two-hole plates. The CURE LP and Talos®-A (HA) Lumbar IBF device will be combined in one tray with streamlined instruments to make it easier for hospital and surgery centers to process the system. Both systems will be provided sterile and pre-packaged to reduce implant related infections and help with implant tracking. Meditech began its partnership with CURE International, an organization that serves children with physical disabilities in underserved areas of the world, during the development of its CURE Anterior Cervical Plate (ACP), introduced last year. “We are excited to continue building upon our relationship with CURE International and inspired to see how they work tirelessly around the world, bringing healing and hope to those who are less fortunate,” says Flickinger. A portion of proceeds from the sale of every CURE LP plate will help CURE International treat patients in underserved areas who are in need of surgical care. INVIBIO™, PEEK-OPTIMA™, INVIBIO BIOMATERIAL SOLUTIONS™ are registered trademarks of Invibio, Ltd. All rights reserved. Who should be named Startup of the Year from the West [Pacific – Southern California] region? You can share your opinion by voting for your favorite startup in our Reader’s Choice Poll below. Reader’s Choice Poll voting will help guide the selection of the top 100 startup semifinalists who will compete for cash, prizes and more, at the Innovate! and Celebrate conference in San Francisco on October 9th – 11th, 2017. The deadline to vote is July 12th. Airspace Technologies offers end-to-end logistics solutions: we take a modern approach to time critical shipments by enabling technology. Bezelhub is jewelry in your pocket. Just tap a button and a luxury watch is delivered right to you, giving you the access you need, anywhere. Blue is a mobile application that introduces people using bluetooth low energy without the touch of a button. BottleRocket is the first on-demand service that rewards users for recycling. Decorator is crowdsourcing interior design. Think The Sims for real-life homes where other people redesign your room with new paint & furniture. Fantasy Just Got Fun Again as LineStar is the #1 Companion for DraftKings, FanDuel, and Yahoo Daily Fantasy! GoShare connects truck and van owners with people and business who need help moving, hauling and delivering large items on demand. Lemonlight creates high-quality affordable video content at scale. In 3 years, the company has produced 4000+ videos for brands nationwide. LuxeRoom4Day is a simple, fast, and secure way to book a 5-star luxury hotel day rooms, with prices up to 70 percent cheaper than the night rates. Markett is a performance based platform that systematizes word of mouth marketing by providing ambassadors with all the tools they need to acquire new customers for their favorite brands. Nutra.io is an end-to-end solution to decoding your genetic data into actions to help you eat right and supplement your body based on your genome and track your results. Raken’s software is a shot of adrenaline for a construction industry still stuck in the paper and pencil era. A marketplace for renters and sub-renters. 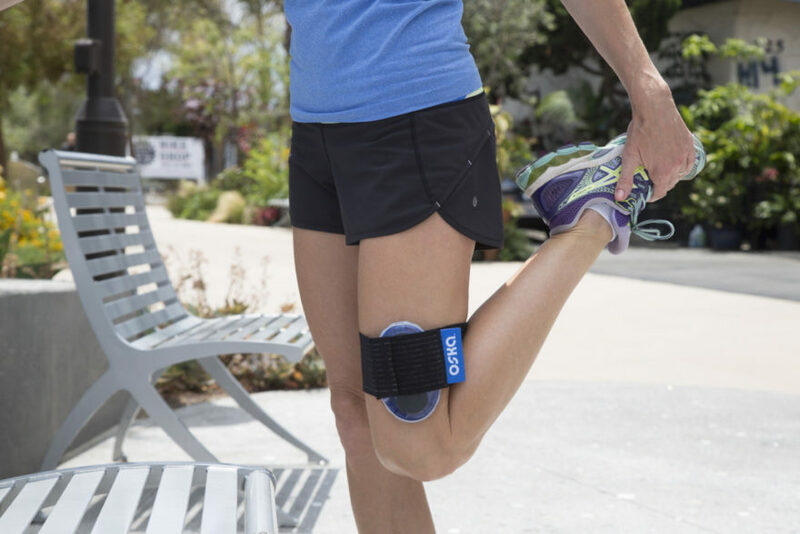 RepWatch promotes efficient recovery for physical therapy patients by providing a system that encourages and motivates patients to stay on track. SPARE. 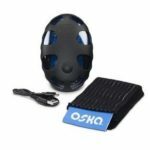 is a community-based cash network allowing cash-back without a purchase. We empower merchants to dispense cash directly from their cash registers and consumers order cash directly from their mobile devices. SwiftChange lets you receive change on your phone after a cash payment so you can capture the value of change without the hassle of coins! Tampon Tribe is a movement that offers affordable access to organic feminine hygiene via online subscription for $8 a month and deliver to your home. Trulo is the home for your best kept secrets of your locals-only spots in your city that you share with your hand-selected travel tribe. Youngry provides early stage entrepreneurs “Young In Spirit, Hungry In Ambition” the best mentor driven content on the planet. RAYNHAM, Mass., June 29, 2017 /PRNewswire/ — Today DePuy Synthes* announces the U.S. launch of the VIPER® and EXPEDIUM® Fenestrated Screw Systems. 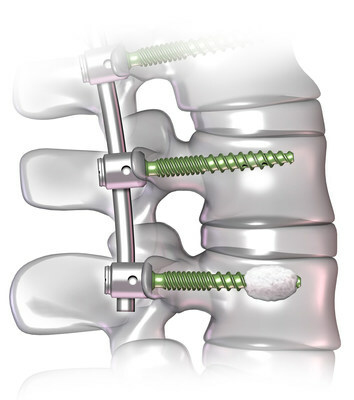 When used in conjunction with CONFIDENCETM High Viscosity Spinal Cement, the screws are intended to restore the integrity of the spinal column in patients with advanced stage spinal tumors. The fenestrated screw systems provide stabilization and palliative treatment for patients who may be suffering from spinal cord compression as a result of advanced stage tumors. Surgical treatment for patients with advanced stage spinal disease can be challenging with traditional pedicle screw systems, but using fenestrated screws with spinal cement can provide immediate screw fixation while stabilizing the spine. The VIPER and EXPEDIUM Fenestrated Screws are designed with a hollow shaft, or cannulation. This design along with fenestrations above the screw tip enable controlled delivery of CONFIDENCE High Viscosity Spinal Cement into the vertebra to provide immediate screw fixation. The VIPER and EXPEDIUM Fenestrated Screw Systems may be used in open or percutaneous spinal fusion surgery. The use of VIPER Fenestrated Screws combined with spinal cement can be used in minimally invasive surgery (MIS), a type of surgery that is associated with a reduction in operating room time, blood loss and lower infection rates. The VIPER Fenestrated Screws are compatible with the instrumentation of the VIPER and EXPEDIUM 5.5 Spine Systems, and the EXPEDIUM Fenestrated Screws are compatible with the instrumentation of the EXPEDIUM VERSE® Spinal System. Both fenestrated screw systems are now available nationwide. When used in conjunction with CONFIDENCETM High Viscosity Spinal Cement, the VIPER® and EXPEDIUM® Fenestrated Screw Systems are intended to restore the integrity of the spinal column even in the absence of fusion for a limited time period in patients with advanced stage tumors involving the thoracic and lumbar spine in whom life expectancy is of insufficient duration to permit achievement of fusion. The VIPER® and EXPEDIUM® Fenestrated Screw Systems augmented with the CONFIDENCETM High Viscosity Spinal Cement are for use at spinal levels where the structural integrity of the spine is not severely compromised. 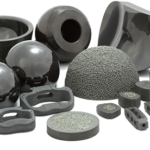 *DePuy Synthes represents the products and services of DePuy Synthes, Inc. and its affiliates. Medos International SARL is the legal manufacturer of the VIPER® and EXPEDIUM® Fenestrated Screw Systems. Smith & Nephew is a global medical technology business dedicated to helping healthcare professionals improve people’s lives. With leadership positions in Orthopaedic Reconstruction, Advanced Wound Management, Sports Medicine and Trauma & Extremities, Smith & Nephew has around 15,000 employees and a presence in more than 100 countries. Annual sales in 2016 were almost $4.7 billion. Smith & Nephew is a member of the FTSE100 (LSE:SN, NYSE: SNN). 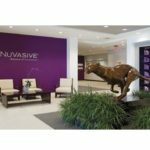 MAHWAH, N.J., June 29, 2017 /PRNewswire/ — Stryker’s Foot and Ankle business unit today announced the upcoming launch of its new Hoffmann LRF Hexapod hardware and online application, featuring an advanced measurement tool that uses a mathematical algorithm to calculate solutions to correct the deformity. Hoffmann LRF Hexapod is being demonstrated during the American Orthopaedic Foot & Ankle Society (AOFAS) annual meeting from July 12-14 in Seattle. Unlike traditional pre-planning, surgeons can upload a patient’s x-rays into the software, which then calculates a treatment solution based on manual inputs by the surgeon, creating a patient-specific plan for strut adjustments. The Hoffmann LRF Hexapod hardware features the core components of Hoffmann LRF with additional flexibility of strut offsetting, allowing the user to relocate the struts to a more optimal position. Based on the simplicity and reliability of the original Hoffmann Fixator, the versatile Hoffmann LRF product line is designed to match today’s biological repair and reconstruction methods. M.O.R.E. 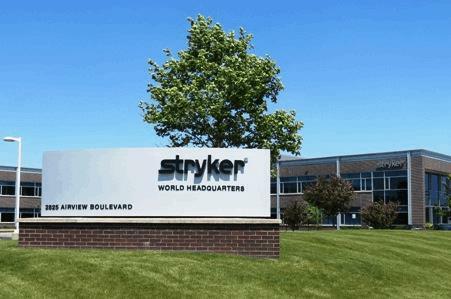 is designed to educate the entire surgical care team on Stryker’s products and surgical techniques, providing a hands-on experience in their local community.